Public K-12 education depends heavily on state and local funding. But the federal government makes it easier to raise the funds necessary to pay for public education by allowing taxpayers to deduct their state and local taxes from their federal taxable income. Current tax reform plans by both House and Senate Republicans propose eliminating or limiting federal deductions for state and local taxes. If passed, state and local authorities would likely find greater resistance to raising taxes—or face greater pressure to lower them—making it more difficult to raise funds for public schools. Thus, tax reform could make it harder for state and local authorities to raise revenues for education funding. At a national level, federal funds accounted for only 8.7 percent of revenues for public elementary and secondary schools during the 2013-14 academic year. On average, state and local revenue contributed about equally to funding public education with state revenue contributing about 46 percent and local revenue 45 percent of total funding that same year. However, the breakdown between state and local sources for education funding varies greatly by state: while state revenue makes up the bulk of K-12 education funding in Vermont, at 89.8 percent, local revenue makes up the largest share in Illinois, at 65.5 percent, according to the National Center for Education Statistics. Although the federal government gives little in direct aid, the existence of the federal deductions for state and local taxes make it easier for state and local authorities to raise revenues for education. For a taxpayer who itemizes, spending $10,000 on state and local taxes combined reduces her federal taxable income by the same amount. If the taxpayer is in the 28 percent marginal tax bracket, this represents a savings of $2,800 in federal taxes. This is the equivalent of having the taxpayer provide $7,200 and the federal government $2,800 for the $10,000 that state and local authorities receive. While indirectly, the federal government is essentially paying for part of state and local taxes through lower federal tax collections. About 30 percent of taxpayers nationally take advantage of these deductions, with significant variation across states. One would expect taxpayers have been more willing to accept higher levels of state and local taxes, and the higher levels of public spending that go with them, because of this federal subsidy. Although the details are still being worked out, tax reform plans in both the House and the Senate rely on eliminating or restricting deductions for state and local taxes as a way to make up for lost tax revenue from proposed tax cuts. Both plans also propose increases to the standard deduction that would reduce the number of taxpayers itemizing their deductions. The Senate plan proposes to fully eliminate the deductions for state and local taxes. The House Tax Cuts and Jobs Act also proposes to eliminate the state income and state sales tax deductions, but instead of fully eliminating the deduction for local property tax payments, it would only allow taxpayers to deduct up to $10,000 spent on local property taxes from their taxable income. Ending the state and local tax deduction could add about $1.3 trillion in tax revenue over the next 10 years, according to estimates from the Department of the Treasury . This change could impact how progressive the tax code is. Taxpayers in all 50 states claim the deductions for state and local taxes (see this report for a state-by-state breakdown). However, higher-income individuals in higher-tax states currently benefit the most from these deductions, as well as the mortgage interest deduction. For instance, more than 90 percent of households reporting incomes over $500,000 in 2014 chose to itemize, compared to fewer than half of those with incomes between $50,000 and $100,000 and only 7 percent with incomes under $30,000. Nonetheless, the extent to which eliminating deductions makes the tax code more progressive depends on how the full tax plan would direct the savings generated by their elimination. At the same time, state and local tax revenues fund many services and public goods that serve residents of all incomes. Progressivity would also be diminished if lower-income residents receive fewer services as a result of eliminating these deductions. The House plan proposes to cap the local property tax deduction while eliminating the state tax deduction. This would still affect local tax revenues, and it could have implications for the equity of education spending in some states. In general, the introduction of a cap on local property taxes, together with other proposed changes, would make it more difficult to raise local tax revenues. By eliminating other deductions and increasing the value of the standard deduction--from $6,350 to $12,200 for single taxpayers and from $12,700 to $24,000 for married filers--the House tax proposal would reduce the number of taxpayers who would benefit from itemizing deductions. By one estimate, fewer than 8 percent of households would itemize under these conditions, reducing the importance of the local tax deduction. In higher-income and higher-tax states, where a larger share of taxpayers is more likely to continue itemizing, the federal deduction on local property taxes--though capped at $10,000--would tilt the balance of popular support toward local taxes over state taxes. Local tax deductions promote spending in one's own district, while state taxes can be directed across school districts, countering the inequities generated by local revenue bases. Under the proposed plan, the federal government would continue to subsidize (up to a cap) local property taxes toward public schools in disproportionately wealthier locations, but not subsidize more redistributive state education spending. Beyond the impact on public schools, the effort to eliminate deductions could make the tax system more efficient. Among economists, there is strong consensus around the notion that a "low rate on a broad base" improves the efficiency of any tax system. Expanding the number of individuals or entities over which you can apply a tax allows governments to raise the same amount of revenue while charging lower rates. Since taxes can distort individual decisions—for instance a high income tax might make a person less willing to work—lower rates are likely to create fewer distortions. The way to broaden the base is by eliminating deductions or "loopholes." But a tax system cannot be judged on efficiency alone: We must also consider equity, as it relates both to the costs of paying taxes and the benefits of consuming the public services that taxes fund. So what does this all mean for public schools? Eliminating and reducing the value of federal deductions for state and local property taxes would not have any instantaneous effect on today's education budgets. But it would make taxpayers who currently make use of the deductions less likely to vote for policies that could raise their state and local tax bills in the future. High-income taxpayers who currently itemize state and local tax payments would feel the impact of eliminating these deductions. But, so would the beneficiaries of the state and local spending—especially public school students—throughout the entire income distribution in their states. 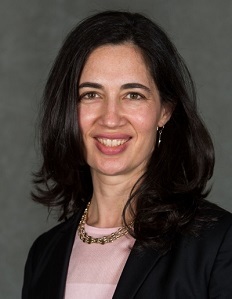 Nora Gordon, a professor at Georgetown University's McCourt School of Public Policy, is a FutureEd researcher adviser. A version of this blog post was originally published on Econofact.org.